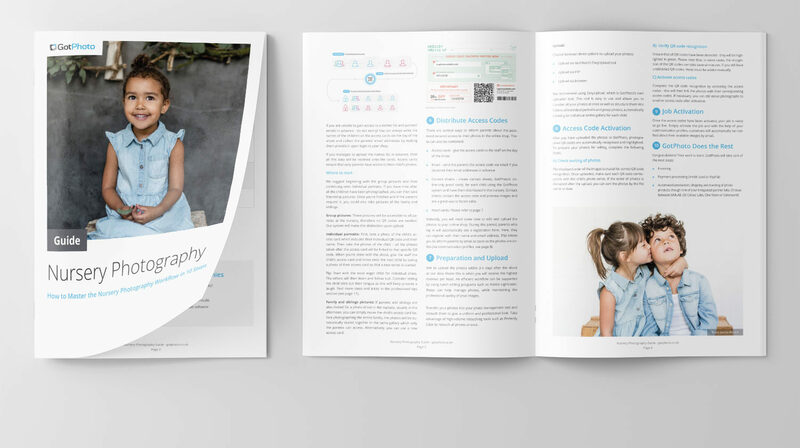 We have talked to many professional photographers and used our own experiences to create the ultimate reference guide for nursery photographers – the GotPhoto Nursery Guide. Within 12 pages we have gathered all the information you need to get the most out of your nursery shoots. Download the guide and additional materials completely free of charge.